In the 1980s, the partnership of famed animator Don Bluth and cinema wunderkind Steven Spielberg signaled an evolutionary change in the cartoon business. 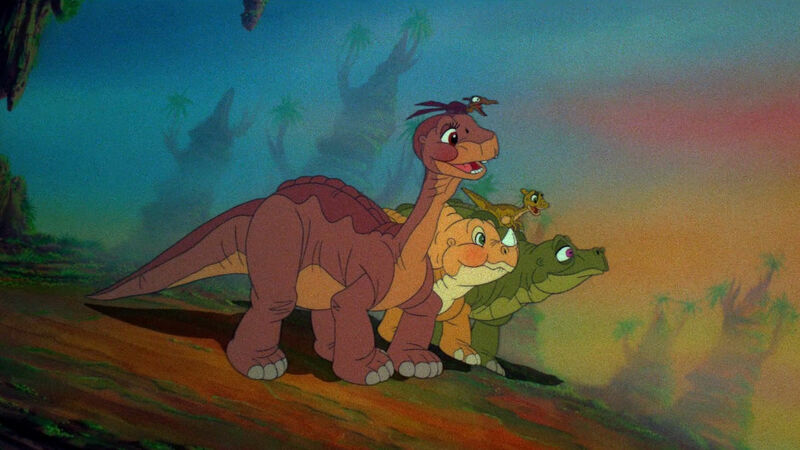 The Land Before Time was perhaps their most moving collaboration, presenting compassion and friendship as the best antidote to bleakness and despair. Eric Wheeler of Text Before Calling joins us to recount the film's cataclysmic impact on his young mind and its memorable framing of the Darwinian struggle for survival. Whether you're a longneck, a threehorn, or a bigmouth, it's the perfect way to conclude our Jurassic June series, yep yep yep! *Fun Fact: This episode is just about the exact length of the actual movie! Theoretically, one could press play on both simultaneously for some sort of weird commentary experience... We haven't tested it ourselves, but perhaps a dedicated listener can report back with the results!